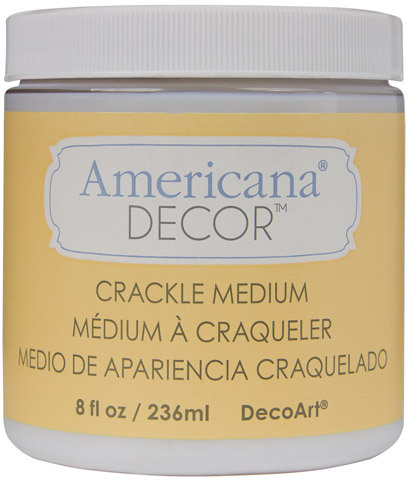 Create an aged appearance on a variety of surfaces with this clear crackle finish. Simply apply an even coat of the medium over a dry basecoat and allow to dry, or apply a thin coat of contrasting colors on top of the dried medium and crackling will affect the top layer of paint while drying, exposing the basecoat color. The thickness of medium application will determine the size of cracks and the direction of brush strokes will create different crackling patterns. Available in 8 oz. jars.